Hello everyone. Hope you are well and enjoying your evening. Tonight I have another Christmas card for you to look at. Thank you for stopping by its great to see your comments. What lovely colours and gorgeous sentiment. Love the way you have stamped the trees onto the sentiment. For me, your cards always give me new ideas and sometimes refresh old ones. Thanks for all the inspiration. 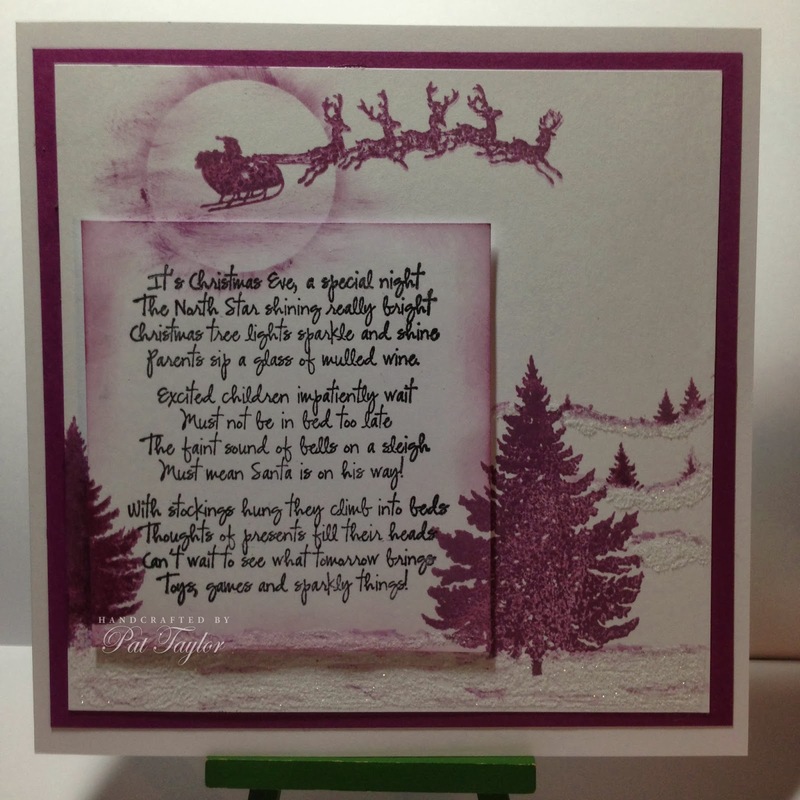 This is gorgeous Pat, I do love the design and the stamps are gorgeous. 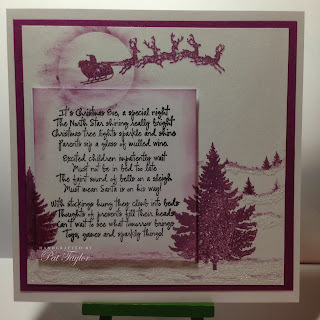 Fabulous Christmas card, stunning composition. 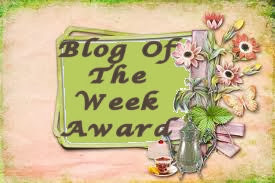 Thank you for sharing it over at the Visible Image Challenge this time.